Photo: Courtesy of POPSUGAR Home. Interior designers and decor dilettantes alike can spot a Pendleton blanket from a mile away. The prints. The quality wool. The muted hues. It's been 150 years, but the Oregon-based brand hasn't lost its touch. 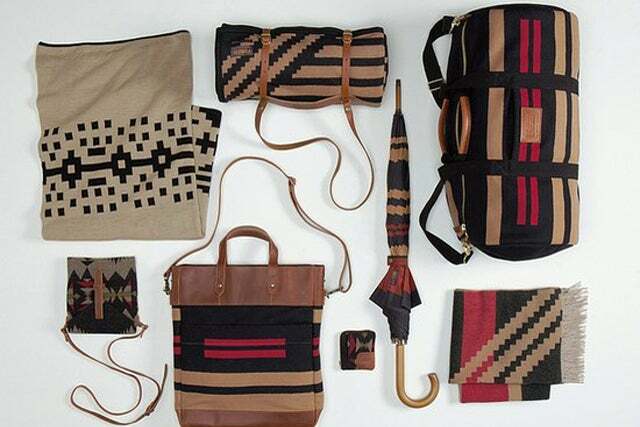 Now, for fall '13, Pendleton has tapped independent-design team The Portland Collection (for the third time) to peek into the storied brand's archives and create timeless accessories and home goods that last a lifetime. So, if that jacquard throw didn't cut it for you before, these leather bags, striped umbrellas, and checkered ties — all woven and produced in the U.S. — just might convert you.